Dei Machan Dev Song Lyrics From Dev Tamil Movie. Directed by Rajath Ravishankar. Produced by S Lakshman Kumar. 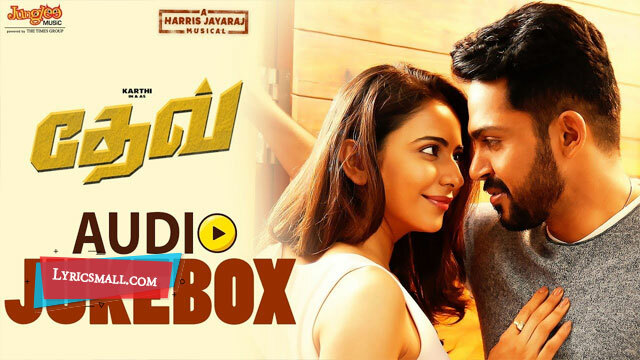 Starring Karthi, Rakul Preet Singh, Prakashraj, Ramya Krishnan. Music composed by Harris Jayaraj. Lyrics were written by Vivek. Sung by Naresh Iyer, Velmurugan, Maalavikka Manoj, Deepika. Song released under Times Music Tamil official label.